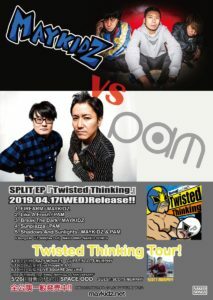 MAYKIDZ × PAM SPLIT EP “Twisted Thinking” 4/17(水)!! MAYKIDZ × PAM “Twisted Thinking Tour!”​開催決定! !